The only thing tinier than these tidbits is their recipe! 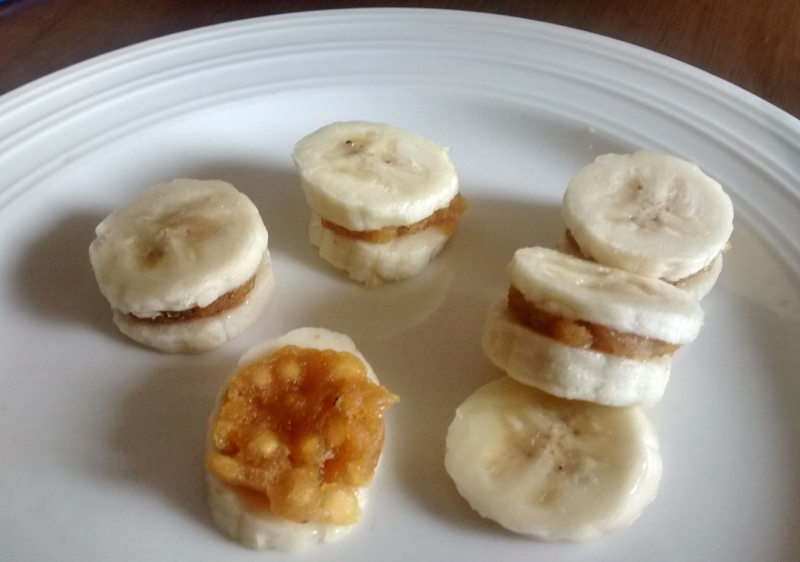 Made with leftover puran (recipe here), the smooth texture of bananas in this sweet makes the granular texture of puran pop out in a fun way. These lilliputian sandwiches are a fun project to do with kids - quick enough to fit short attention spans, and non-messy enough to keep adult nerves from deteriorating to shaggy pile carpets. And for a 100% DIY experience for kids, hand them plastic knives and let them do everything from slicing to assembly!